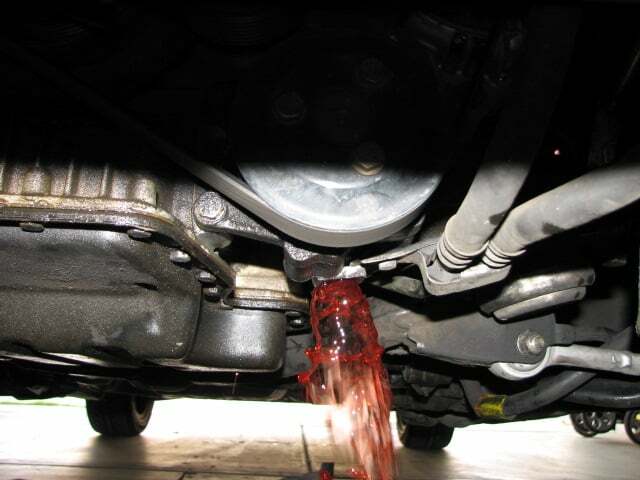 Leaking Transmission fluid can often be more difficult to identify than other types of leaks. If you have a rear, 4 wheel or all-wheel drive vehicle, the leak point is often right in the middle of your vehicle making it something you probably won’t notice unless you’re regularly crawling under your vehicle. If you keep up with weekly, monthly and yearly maintenance checks on your vehicle, you just might catch a transmission leak before it becomes a big deal. For more information on what sort of things you should regularly be checking on your vehicle, check out our series on routine maintenance. Most transmissions are fairly well sealed and usually don’t start to leak until they have quite a few miles on them, or have not been regularly maintained. 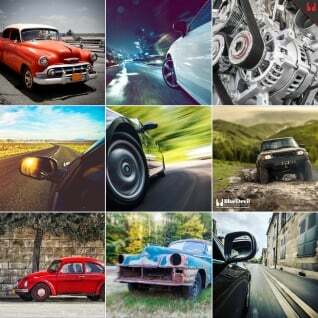 Most people think of changing transmission fluid to help preserve the gears, bands and clutches in their transmission. The reality is fresh transmission fluid can also help preserve the seals and gaskets in your transmission as well. The “dirt” in your transmission fluid is actually more wear products that actual dirt or sand. Unlike your engine, your transmission is a closed system meaning it is very difficult for dirt or dust to get in. That means the suspended particles in your transmission fluid that turn it brown or black are mostly tinny metal shavings that are worn off gears and bearings in your transmission. These tinny metal shavings get pumped around your transmission in the fluid and can act like liquid sand paper on the inside of the seals and gaskets causing them to wear out and fail prematurely. To keep this from happening, make sure you change your transmission fluid at the factory recommended intervals. The other main reason that your vehicle has started leaking transmission fluid is that the bearing inside have become worn out. The shafts that go through the seals in your transmission are held in place by bearings so they don’t move in, out, up or down but still allow the shaft to spin freely. As the bearings become worn due to use, the shaft can start to sag down pulling on the seal and leaving a small space at the top where transmission fluid can leak out. As you’re checking for transmission fluid leaks the first place to check where the driveshaft or axles exit the transmission. This seal is the most likely to leak, since it is open to road grime and dirt on one side and transmission fluid on the other. The other seal that is most likely to leak is where the input shaft goes into the transmission. This seal will be hidden by the clutch or torque converter and ultimately the bell housing so it can be extremely difficult to inspect without removing the transmission. Usually if this seal is leaking you will find transmission fluid dripping from where the bell housing bolts to the engine block. Even though it’s unlikely, it is possible for your transmission to be leaking from one of the seals where the case is bolted together. All of these seals or gaskets can be extremely difficult to get to without removing the transmission from your vehicle. That includes disconnected all the axles and drive shafts, removing the transfer case if its 4 wheel drive, removing all the shift linkages, sensors and wiring and unbolting it from the engine. Once you’ve done all that, which can be hours work, it is also extremely heavy and difficult to maneuver. A much better way of stopping your leaking transmission fluid is to simply use BlueDevil Transmission Sealer. BlueDevil Transmission Sealer is a completely safe additive that you add to your transmission fluid to stop your leak. BlueDevil Transmission Sealer is designed to restore the seals and gaskets in your transmission to their original shape and size which can stop your leak permanently. Just put a recon torque converter. After putting some oil in the car have found a pool of oil under the car. Looks like its come from around the bell housing. Have I done something wrong or is something else wrong. Any ideas. Thanks for your question about your torque converter. Based on your question, we’re assuming that by “oil” you’re talking about transmission fluid. If your car is leaking engine oil after putting a new torque converter on, then you probably damaged your rear main seal during installation. If your car is leaking transmission fluid after installing a new torque converter then you may have damaged the front seals on your transmission or incorrectly installed the torque converter. If you do end up with a pool of transmission fluid without even running your car, we’d recommend pulling things apart and finding your leak as it will likely be a fast leak if you start your engine. Thank you for asking about your Ford Freestyle. Has any transmission fluid been added recently and potentially the system is overfilled? If not, it is possible that there is some kind of a restriction in the system that is not allowing the fluid to flow properly, forcing it out. Does the fluid loss appear to be coming from one of the seals or is it coming through the cap? Please contact our technical support line at 888-863-0426 so that we can get a better understanding of the vehicle’s condition and be able to make any appropriate recommendations. What kinda of guarantee do you guys have in your stop leak? If it makes the leak worse do you guys cover it? The BlueDevil Transmission Sealer carries a money-back guarantee. If it is unable to seal the leak for whatever reason, you would simply contact our technical support line at 888-863-0426, and we would be able to assist you. Thanks for your question about your 1999 Honda Civic. If you’ve got transmission fluid coming from the top of the transmission then it’s possible you forgot to connect the transmission cooler lines or left a plug or sensor off from the top of the transmission when you installed it. A low fluid level could definitely cause the problems you are having, but it’s also possible that the transmission you received was defective or had internal damage before you installed it. We recommend contacting the company you got the transmission from to see if they offer a warranty. I have a manual transmission with a fluid leak. 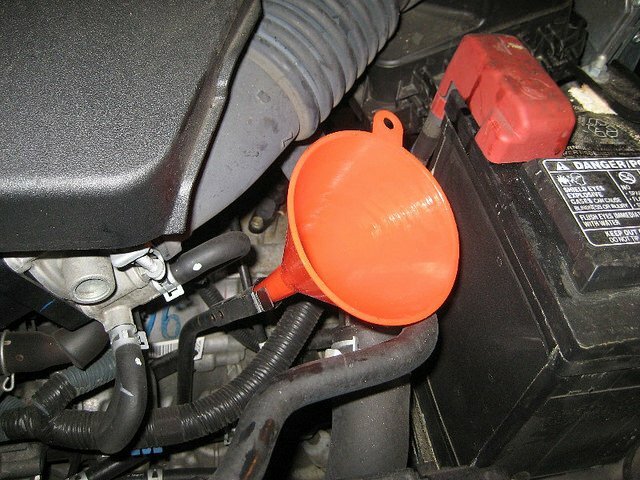 Do I have to bring my car to a mechanic to have this fluid installed? No, applying the BlueDevil Transmission Sealer would not require taking the vehicle in to a mechanic. Simply add the product where you add transmission fluid. You will be using one oz. of the product per quart of fluid in the system, and should expect to start seeing results after approximately 100-200 miles of driving. 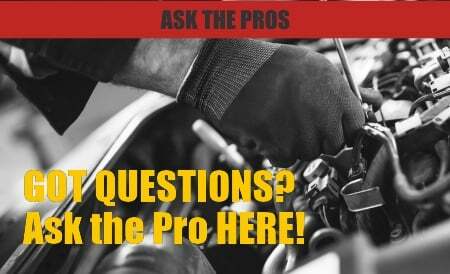 How Can I Find My Oil Leak? — What is a Head Gasket?